John Major is just another has been sell out! 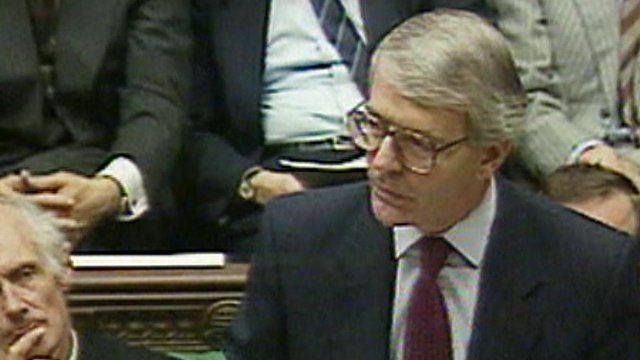 OPINION- John Major was a disastrous PM for the UK, he presided over the farce that was the UK being thrown out of the Ecxhange Rate Mechanism it should never have joined in the first place. He also pushed through the Maastricht Treaty without allowing MP's a free vote on the matter but today he has incredibly come out and said that Theresa May must allow her MP's one and that Parliament should vote it down to reverse Brexit! Whilst I may not have agreed with much of what Margaret Thatcher did during her leadership she provided a strength and clarity that this country has not seen since. Likewise on the Left we used to have politicians who were men of stature such as Tony Benn and Michael Foot, principled Socialists who would never have engaged in the sell out Jeremy Corbyn just did to the Blairites within his party. The technocratic dull bank manager like politicians we now have all started during John Major's premiership and crucially he also allowed the civil service to become politicised in a way that has continued to this day. We now see how strong the Remain establishment is within departments such as the Treasury. At UK Unity we are deeply concerned with the way things are going and even if we do Leave the EU it looks like it will be in all but name only. John Major is a failed Prime Minister loved by the liberal metropolitan establishment. He is a shill of the Globalist Elites and should not be listened to, unfortunately like Blair and Brown he is not going to go away quietly. If you agree with the above and want to support us please sign up by Clicking Here Now! Read: "Have the Labour Party lost the plot?" Read: ""Child Refugee" jailed for Sickening Attack"